Here is a link to the complete Flickr Set, here are some highlights: Some of the signs are very demanding, almost intimidating. 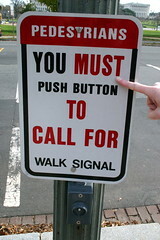 I was careful to push this button as soon as I saw the sign, as it didn't say what the penalty was for not pushing it. 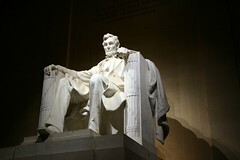 Lincoln memorial at night: I hadn't really grokked that this was on the back of the $5 bill until now. I took these with a mini-tripod at a remote control. 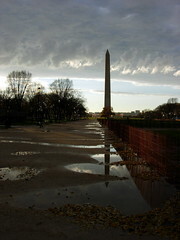 Here is a different reflecting pool than the usual one: boy did it rain! 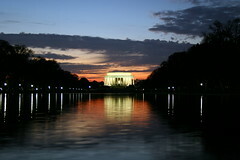 In summary: DC rocks, too much to do in one short visit.